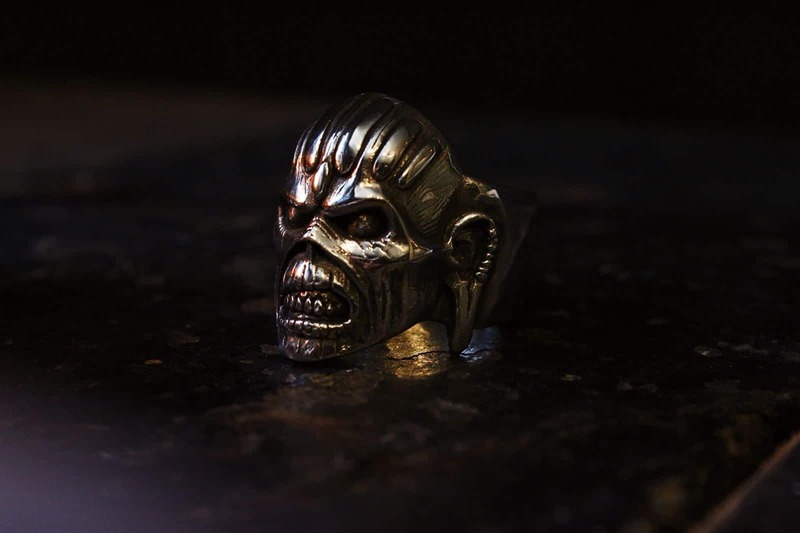 Just in time for Iron Maiden’s two London hometown shows this weekend, it is with great pleasure we announce the release of the fourth and final TGF x Iron Maiden ring, “Book of Souls Eddie“. 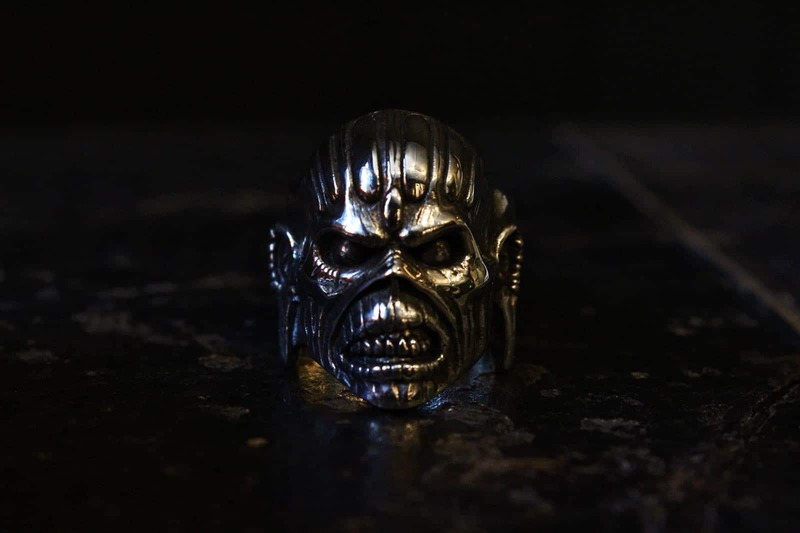 “Book of Souls Eddie” is taken from Iron Maiden’s 16th studio album 2015’s “Book of Souls” which is the longest Iron Maiden album to date with a total length of 92 minutes. As for all our jewellery, “Book of Souls Eddie” is hand carved in was by The Great Frog owner and designer Reino Lehtonen-Riley, before being cast and completed in our Soho basement. Available now for pre-order online and in store for September. Order the ring here: Book of Souls Eddie.